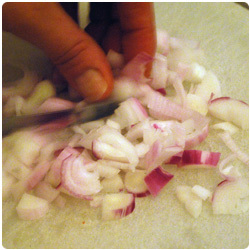 Peel the shallot and dice it. 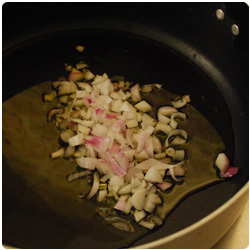 In a pan pour 2 tablespoons of olive oil and warm it. 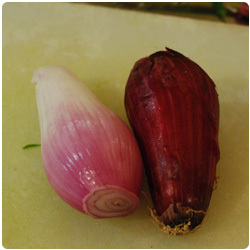 Add the shallot and sweat it. 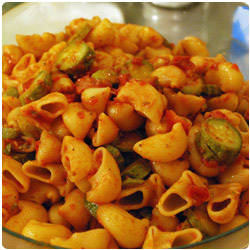 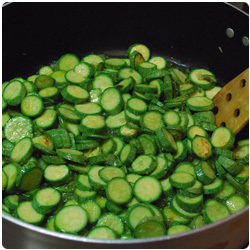 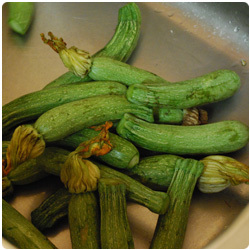 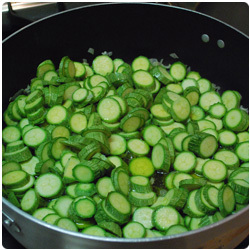 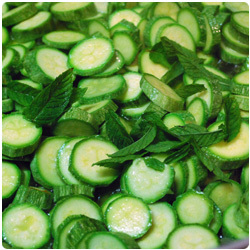 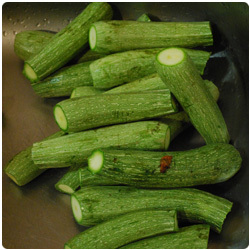 Wash the zucchini and chop them in round pieces. 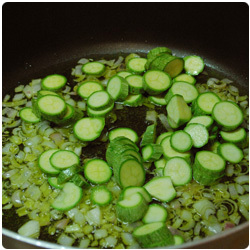 When the shallot is gold, add the zucchini and stir. 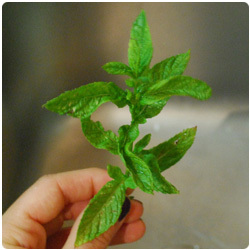 Add the mint leaves as you like. 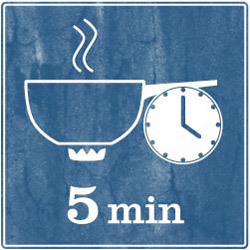 Cook, stirring constantly for 5 to 10 min. 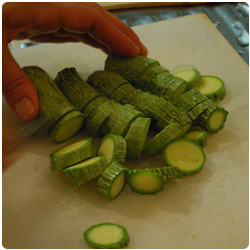 The Zucchini will start to have a crispy crust. 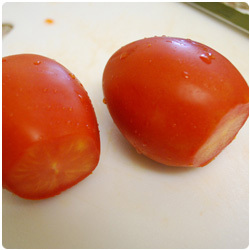 Cut the tomatoes in pieces. 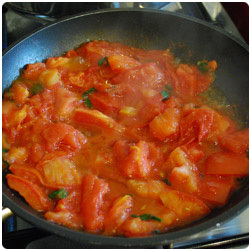 Cook the tomatoes for a minute, until they become soft. 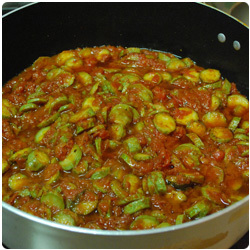 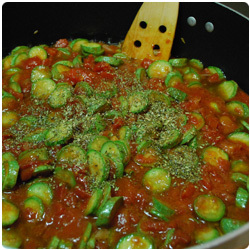 Add the tomatoes in the zucchini pan. 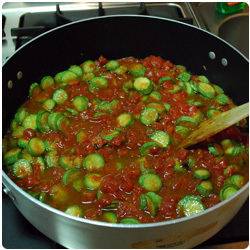 Add some tomato sauce if the tomato pulp itself is not enough to have a good amount of sauce. 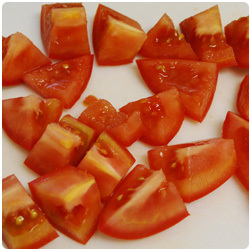 The best tomatoes for this recipe are ripe with a lot of pulp and few seeds. 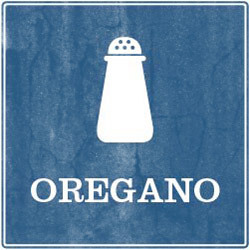 Mix everything and add oregano, salt and pepper to taste. 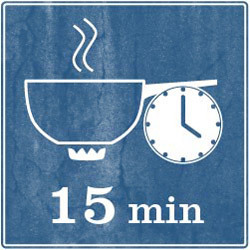 Cook on medium-high heat for 10 to 15 min until the sauce gets dense. 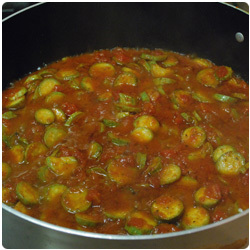 Then turn off the fire and let it cool. 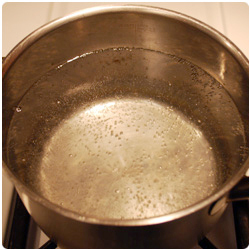 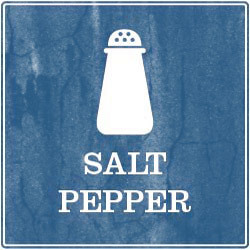 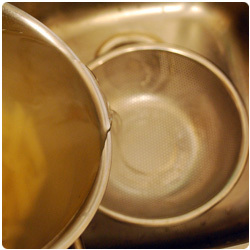 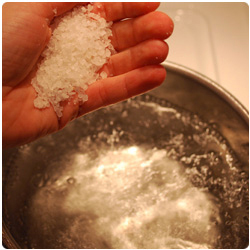 Cook the pasta: boil a pot with water and salt it. 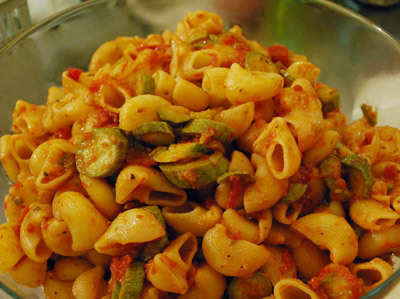 Put the pasta and cook it. 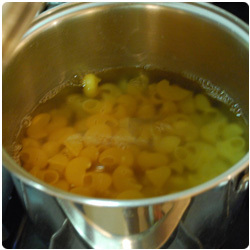 Strain it "al dente". 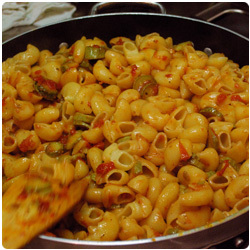 Add the pasta to the sauce pan and mix. 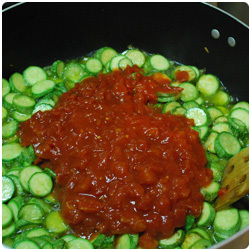 Serve warm.